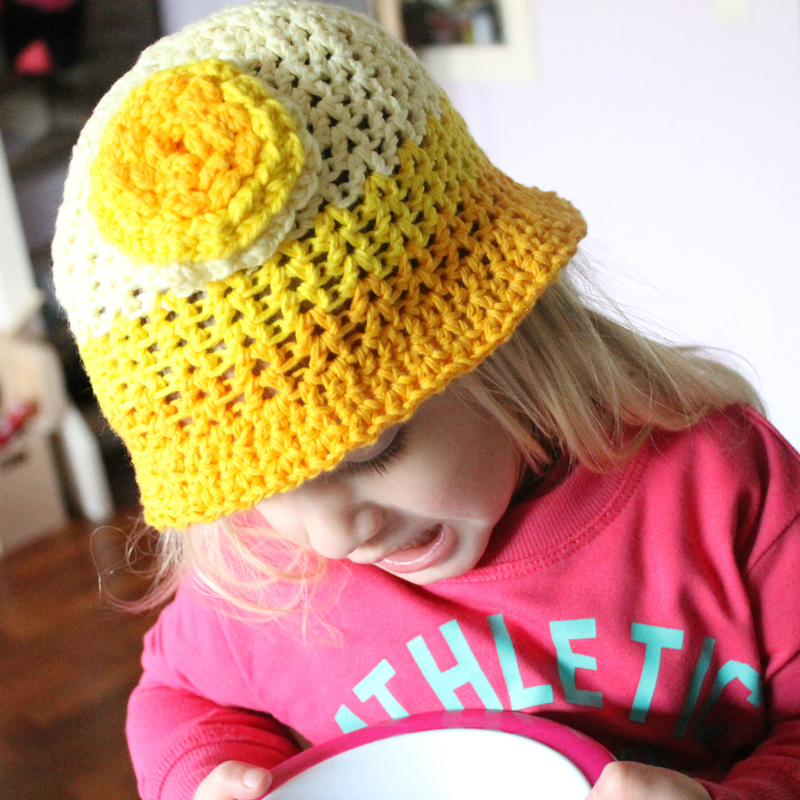 Bucketful of Sunshine Hat – The Big Reveal! I’ve been teasing you here, and on Instagram and Facebook with shots of yarn and half-completed projects and today, finally I can show you what I’ve been working on! 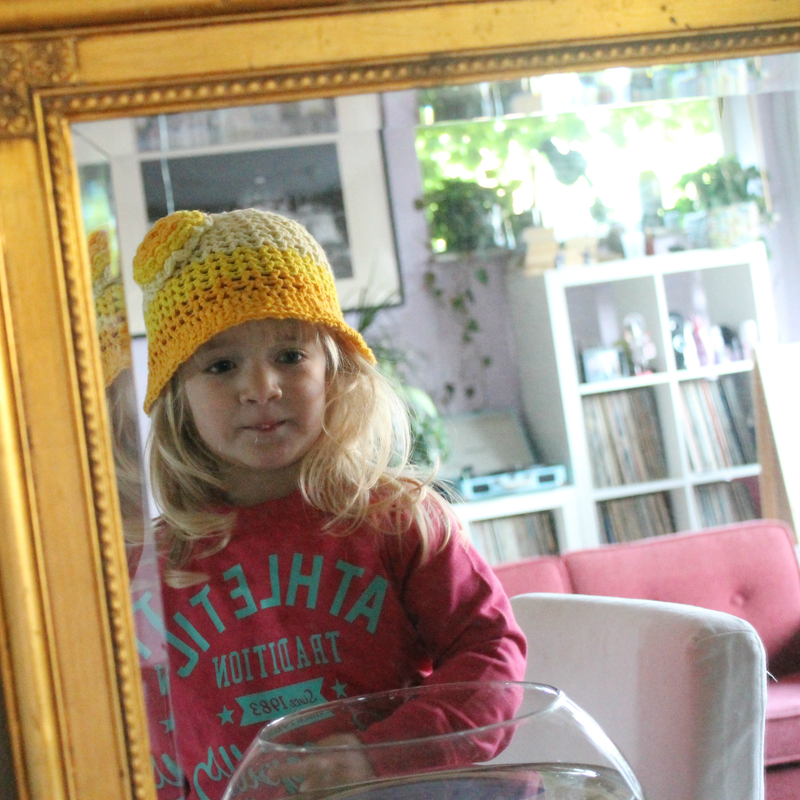 This morning I managed to convince my almost two and a half year old to pose for some photos of my new hat design, and she rocked it! So, without further ado, I present to you The Bucketful of Sunshine! 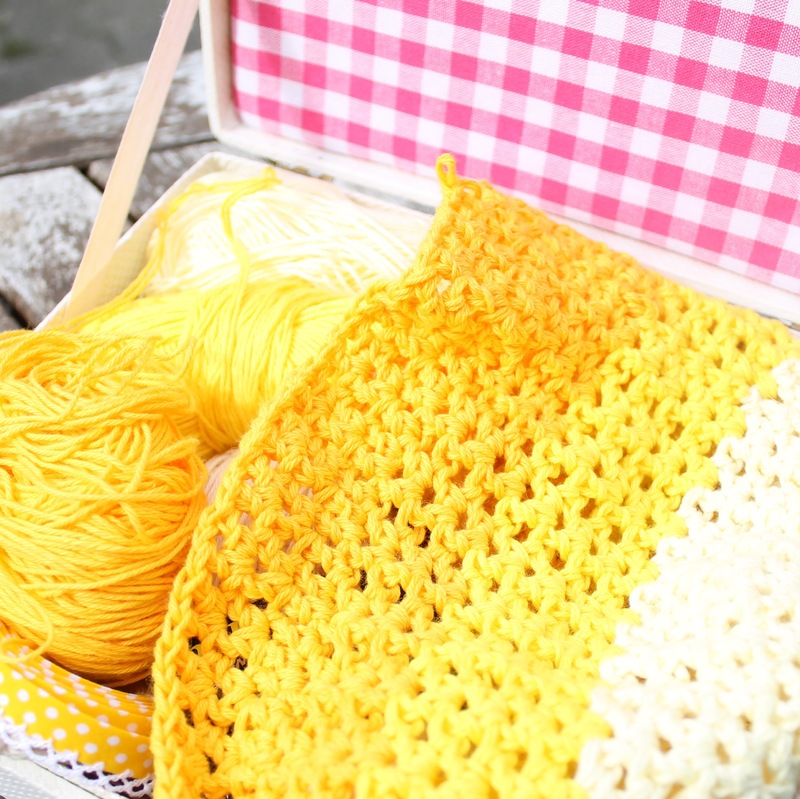 The Bucketful of Sunshine is made using three shades of yellow Scheepjeswol Cotton 8 (508, 551, and 655) working from light to dark, creating a really cool ombre effect. The sunburst on the side is actually inspired by a free pattern by Petals to Picots and doctored a little to minimise the cutting and joining (because we all know how much I avoid weaving in multiple ends wherever possible). I used the V-Stitch, making it perfect for the summer months to come. Light, airy and full of sunshine. 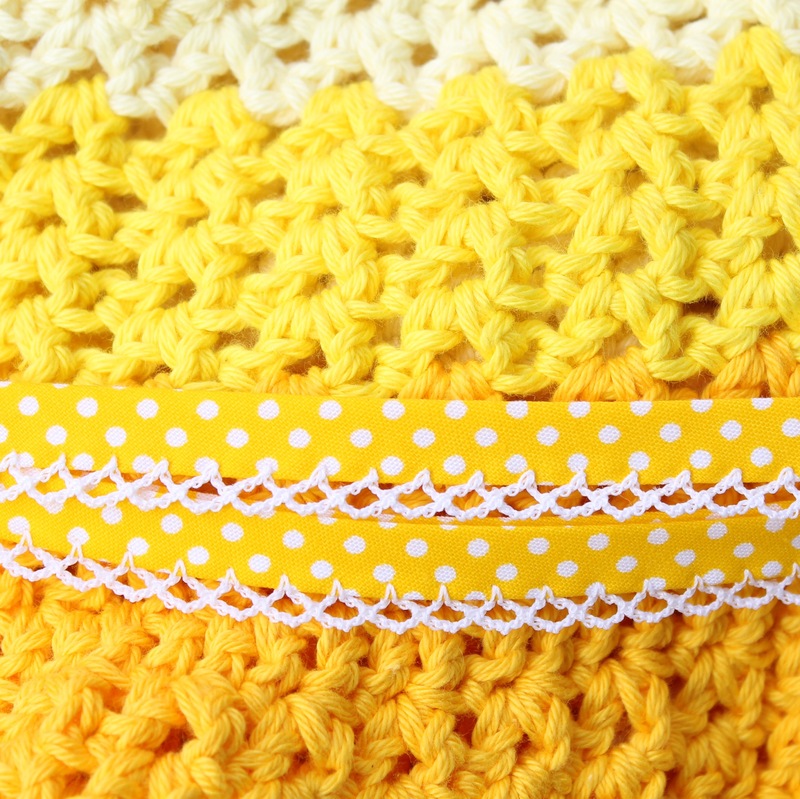 I’m working on a tutorial for the V-Stitch for lefties as it happens, so keep an eye out for that too! I’ve just loved working with Scheepjes Cotton 8. 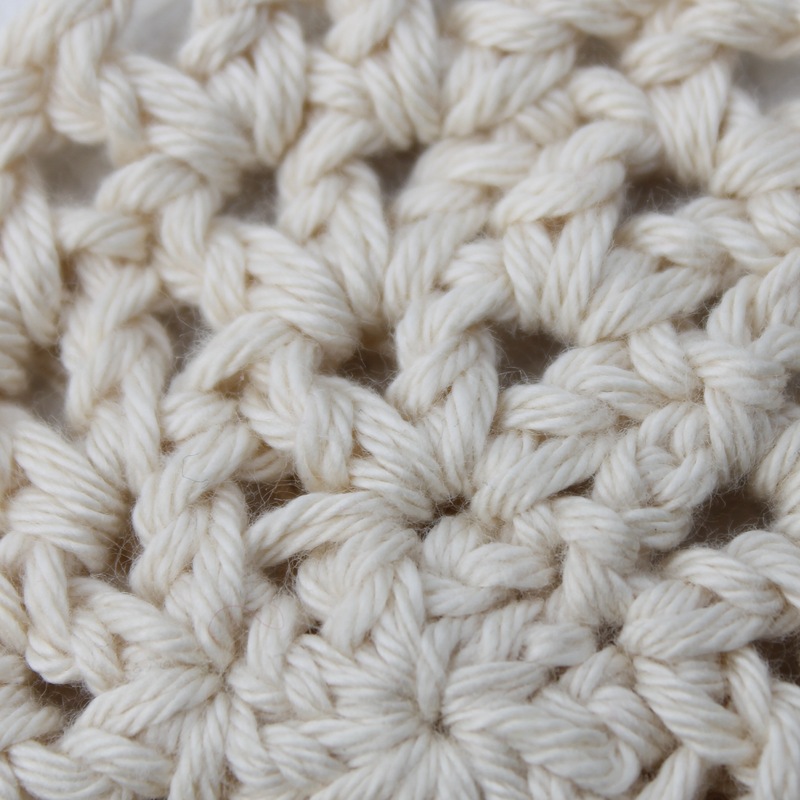 It has become my favourite cotton yarn and will surely be my future go-to. I love the feel of it, I love the look of it and to get this project just right I frogged and frogged and frogged, and yet it holds up brilliantly. 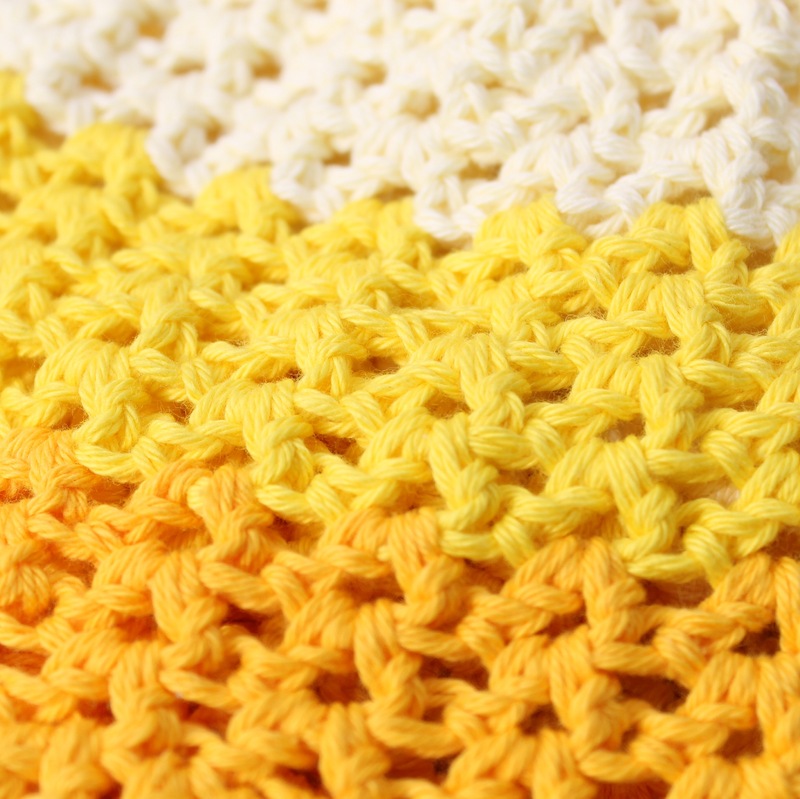 No splitting, catching, breaking or any other annoying yarn habits. What also makes it an enormously appealing yarn is that Scheepjeswol a Dutch company, and I’m all about supporting local businesses. What do you think? Don’t I have the cutest kid? 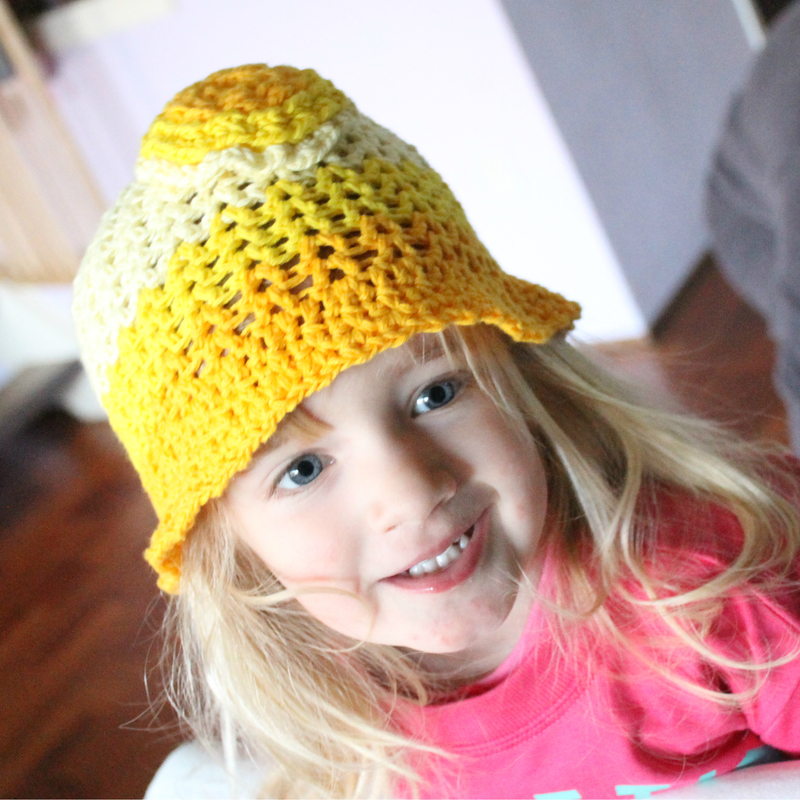 She’s sunshine personified, and The Bucketful of Sunshine was wholly inspired by her. I love Scheepjeswol Cotton 8. I knew I would, but I think it might be my new favourite cotton yarn. I love that it’s soft, and I love that it doesn’t have the mercerized look and I LOVE the colours! 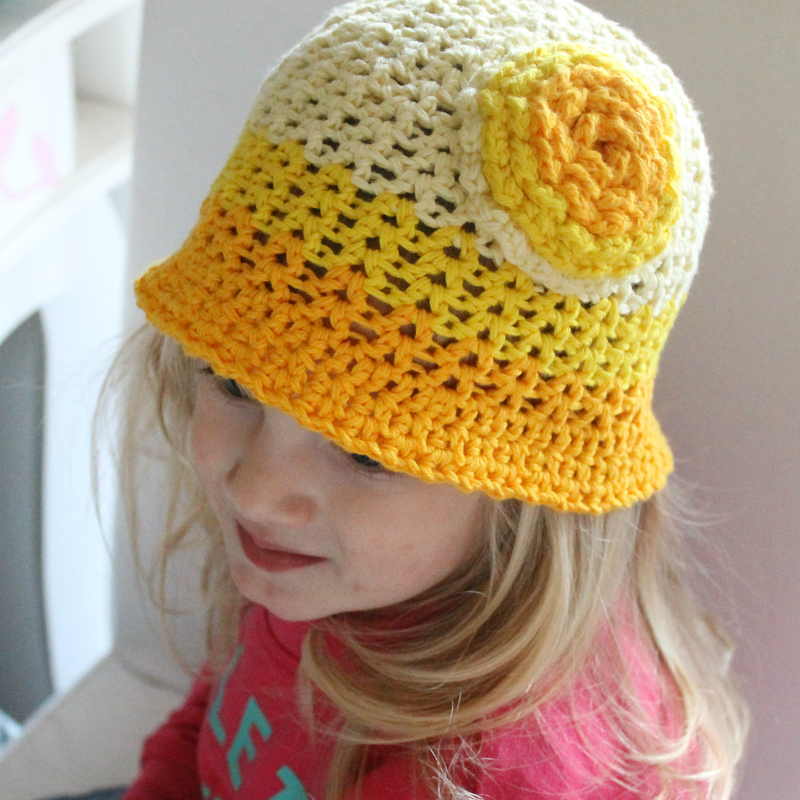 For my latest design I’m using the beautiful shades of yellow, working on an ombre look. There’s quite a bit of experimentation going on with rows and colours to get the gradient just right. It’s difficult because my brain wants me to make sure all the rows are even, but the look is much better if it’s not. 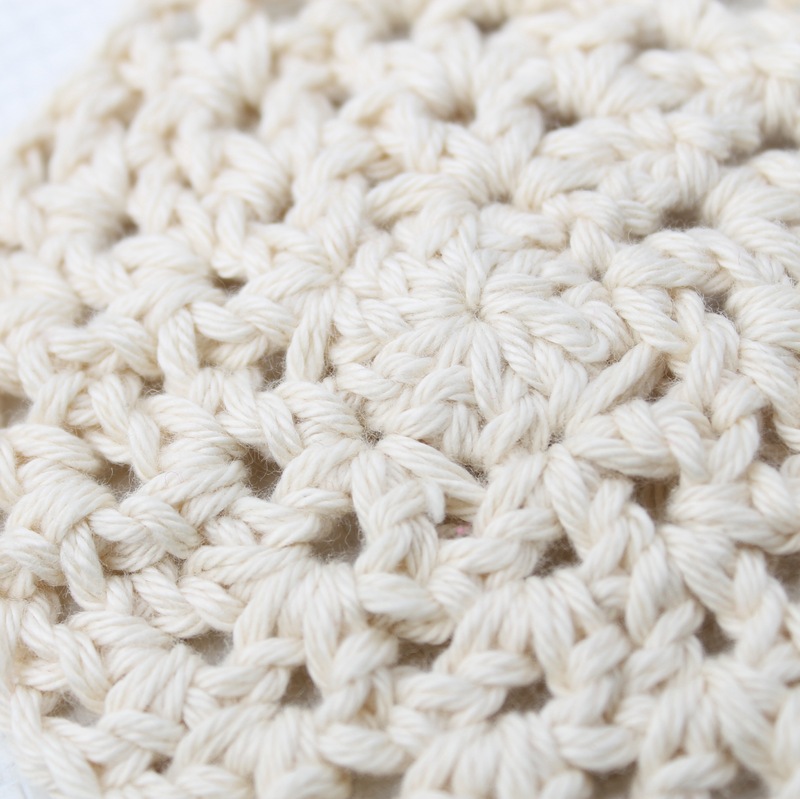 I love the way the V-Stitch looks, and for this project I’m using two strands together, which gives it a great textured look too. You’ll just have to wait until next week for the Big Reveal! Have you tried Scheepjeswol Cotton 8? What do you think?